Eleven years then rolls by. Sometimes it feels like I've been with her a thousand years, as if we've always been together. Other days it feels like it's only been a matter of minutes. We have loved one another, raged at one another, held one another, cried together, fought together, snuggled together, shared tremendous losses with one another, and experienced joys with one another. Then, at the end of that eleven years, it comes down to a single hospital visit for a hurting leg. Just a sore leg. Surely nothing more than a minor fracture. A shot, a cast, a cane, that's all that's expected. But it is not all that is received. Stage IV breast cancer that has spread to the lungs, the liver, and the spine. At least it has not spread to the brain. Chemotherapy treatments will begin immediately, soon after to be followed by a transfer to a special cancer unit at one of the top hospitals in the country. Survival could be a matter of months, maybe a couple of years. Some few "miracle" cases, between 1 and 3 percent, have long term survival of 5 years or longer. But even then, at what cost? Surgeries, radiation, chemotherapy, pills, needles ... a never-ending barrage of medical treatments almost as devastating to the body as the cancer itself. It is quite possible she will never return home. And when I am home I see the now-warm glass of Diet Coke she left sitting on the nightstand. I see her night clothes on the floor next to the bed. I see empty rooms and the wide eyes of a beagle staring up at me, those eyes pleading, not understanding. So, I sit and I type and little else seems to have any meaning. Oh, yeah, and I pray. Because there is nothing else to be done. Notes: I'm still on somewhat of a Tolstoy kick, and I've been meaning to read this one for a couple of years, since I saw it mentioned in one book or another about or pertaining to Tolstoy (sorry, don't remember which one, maybe something by John Gardner). This is a non-fiction book written late in Tolstoy's life. It's about his belief in non-violence, almost more political than spiritual, though sort of a mix of the two. Think Gandhi, and you'll have a good idea of Tolstoy's approach. In fact, Gandhi and Tolstoy communicated some, and Gandhi took many of his political approaches from Tolstoy's notions. 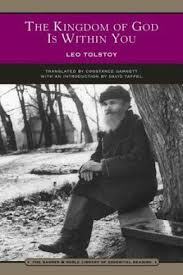 Mini review: Quite the interesting read, but also very dry because Tolstoy has a tendency to say the same things over and over again but with different words. Still, there's a lot of wisdom here, I think, though also a tad of gullibility. Tolstoy has come to be recognized as what some have labeled a Christian anarchist, and though that term might sound contradictory to some, it does seem to fit. Towards the end of his life, he came to believe in an extreme liberal version of Christianity, mostly based off what Jesus preached during the Sermon on the Mount. What Tolstoy writes in this book does make some sense, looking at Christianity from his mostly non-supernatural, logical manner, but it's also not very realistic for the world we live in. Tolstoy would decry my writing that, I'm sure, suggesting we should live for the next world or for the future and not so much for the world we have. Notes: Having recently delved into some baseball reading, I continue the trend here with this novel, which became a Kevin Costner movie. I've seen the film, and though it doesn't seem to get much fanfare, it is one of my favorite baseball movies, with "Bull Durham" being my favorite baseball movie. I've been wanting to read this one for a while, so here's my chance. It's the tale of an aging pitcher, his personal struggles with the woman he loves and his personal/professional struggles with the game that has occupied his life, all on his last day of playing, when he pitches a perfect game. Mini review: Very much follows the basic plot of the movie, but approaches the story from a different angle, with the characters themselves being quite a bit different than the film version. Is the book better than the movie? Yes and no. It mostly has different dimensions to it, in some ways more deep than that of the movie, but in other ways, not so much. The film version looks at the game more in depth, in my opinion, but the book is much more in tune with the characters, especially the lead of pitcher Billy Chapel. Fine, fine reading, worth the time for any baseball fan. As a boy growing up in Kentucky in the 1970s, I lived under the shadow of the Big Red Machine. For those of you who are not sports fans, specifically baseball fans, the Big Red Machine was a nickname of sorts given to the Cincinnati Reds team in the early parts of that decade. Who gave them the nickname, I don't know, but it stuck from about 1970 through about '77, give or take a year or a season. I was a baseball fan then. As a lad, I got to know the names, faces, and stats of gods who walked among us mere mortals, gods with names like Johnny Bench, Pete Rose, Ken Griffey (Sr., not Jr.), Dave Concepcion, Cesar Geronimo, George Foster, Sparky Anderson, Joe Morgan, and others. I got more than one chance to attend games featuring these gods, and even got to meet a few of them personally. Years passed, the '70s passed, I grew older, and the Big Red Machine faded into history. During my high school years, I was more of a football fan. I played some football in school, played soccer for a few years, was even on a bowling team for a while. Oddly enough, I have never been much of a basketball fan despite the fact I grew up and lived at least half my life in Big Blue basketball country. If I have to watch basketball, I prefer collegiate level ball as I find it the most competitive. High school basketball holds little interest for me because the teams and scores always seem so one sided, and pro basketball to me is practically a joke, with lanky fellows running back and forth for two hours only to have every frickin' score come down to a separation of only two or four points. From my way of looking at it, pro basketball is only important for about the last minute of the game, so why not make each game a minute long so we can move on to something more interesting? In the 1990s, I moved to Ohio and lived there for nearly all of the decade. There, I rediscovered my love of baseball. A large part of this was because I was surrounded by baseball fans, but it didn't hurt that the town I lived in had a new minor league team (I love minor league baseball to this day). It also didn't hurt that the Cleveland Indians were one hot team in the '90s. Oh, the Reds were hot once more in the early parts of that decade, but I think for the most part the 1990s belonged to the Indians when it comes to Ohio baseball. For better or worse, when I moved away from Ohio, I lost much of my love for baseball, and for sports in general. The last 10 or 12 years, I've just not been that interested. In fact, most of it has seemed kind of silly. Some might consider me a fair-weather fan, but to me, it felt more like the game (and sports in general) had betrayed me, not so much that I had lost interest. Everything was about steroids and money and drugs and Congressional hearings and practically anything and everything except what happened on the field. 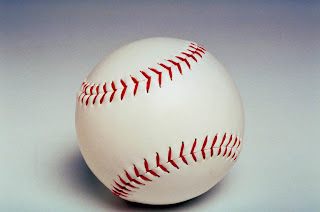 Of late I've been reading a little about baseball, fiction and non-fiction, and this got me to thinking about the game, about why I loved the game and why I have lost interest concerning it at various points in my life. For, there is no doubt, baseball is my favorite of all sports. Even during my teen years when I was an Oakland Raiders and football fan, I still loved baseball. Even though I have rarely played and am no good at baseball, I still love the game. And that is what dawned on me, I loved the game, not all the nonsense that has gone on around the game the last couple of decades. Controversy is not new to baseball, but there has seemed to be more and more of it as I've gotten older, but that's practically the case with all parts of American society. Yet I've strayed. Instead of holding on to what I loved, I strayed. True, I no longer keep up with the sport. It's been at least a decade since I've been to a game. I probably couldn't name a single player today, not unless he's some old foggie who is clinging on from ye olden days. Hell, I might not even be able to name all the teams as they seem to change every few years. I do know my favorite minor league teams have changed leagues several times, but that's not uncommon for minor league ball. I do know my favorite minor league players have all moved on, are now accountants or engineers or attorneys, some few still in the game as batting coaches and the like for one team or another. The game has changed, as have I. But thinking even harder and deeper, something dawned on me recently. The game is still there for me in my head. It hasn't changed. The rules, the names, the stats, the history, it's all still there. Another thing that has recently dawned upon me is that my interest in baseball at different points in my life has coincided with my lack of interest in fantasy literature. Either one or the other was in my life, but not both at the same time. The last decade, fantasy fiction has been a big part of my life, but not baseball. This thinking got me to realize that I have not actually lost my love for baseball, only transferred it, much as I did at early points in my life. I've gone from loving baseball to loving fantasy fiction, then back and forth several times throughout my life. Why should this be so? Why cannot both exist for me at the same time? Could it be, for me at least, that there is a relationship between fantasy and baseball? I'm a writer by trade at this point, mostly fantasy fiction writing. I write about men with swords facing down impossible odds, setting things right in the world with their skill and talent, their quick wits and sometimes their sheer might. Stretching my thoughts further, I see more and more connecting fantasy and baseball. One of the things I always loved about baseball was the history. Names like Cobb and Ruth and Mays and DiMaggio, these men were gods, not that different than Zeus or Apollo or Sauron or Hood. In fantasy, there are ancient wars between gods and heroes and monster and wizards, just like in baseball there have been great conflicts between the Dodgers and Yankees and Red Sox and Braves. Hell, there's even armor and weapons in baseball. Umpires wear armor, as do catchers. If a bat is not a weapon in disguise, then I don't know what is. Even the balls themselves are occasionally used to bean a player. There are rules in baseball, as is often the case in fantasy. Magic usually has rules. Knights and their ilk often have rules of chivalry. Wizards and gods must follow rules, or else they will lose their powers and plummet from upon high. Heroes come in two forms, the triumphant and the tragic ... compare Aragorn to Boromir ... or Cal Ripken Jr. to Roger Maris. In fantasy, along the way there are many hurdles a hero must overcome or fall prey to, just like the long seasons in baseball. Also in fantasy, there are many lesser characters, those who always have the potential to be a great hero or villain, but who rarely live up to such, which is why they are lesser characters. Sort of like amateur league ball or even the minor leagues when compared to pro baseball. 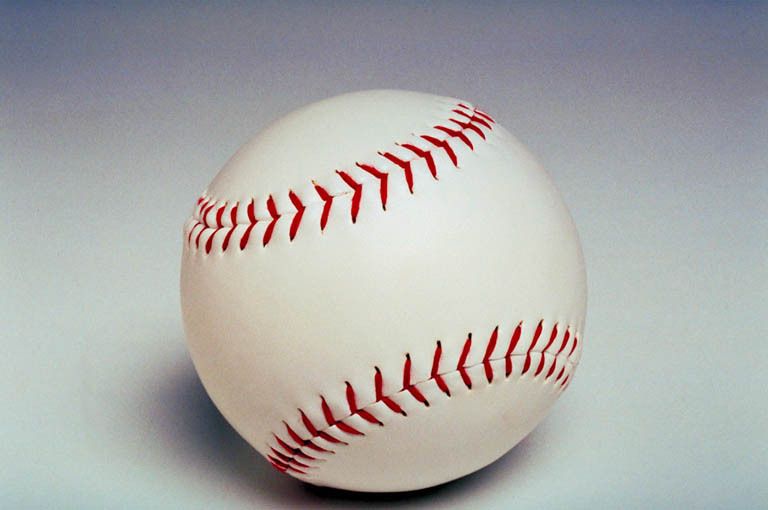 There are actual bases in baseball, just like there are major plot points within fantasy. An armored hero only reaches the end, the climax, the slaying of the dragon, after overcoming or defeating many other lesser evils, kind of like passing first, second and then third base before heading on to home. Maybe I'm reading too much into all this. But what the hell? I mean, it's only a blog post, right? Just because something is written online somewhere doesn't mean it's actually truth. And I'm missing baseball again. For the first time in a long time. Fortunately for me, the Durham Bulls are just down the road from me. Maybe it's time to make a trip once baseball season opens up again. Hopefully, I can contain my love of fantasy and my love of baseball at the same time. If not, maybe I'll have to take up writing fiction about baseball. And I'm not sure it would be all that different than my fantasy writing. I have a new series of short stories coming out in e-book formats. The series are five individual but related tales of various lengths at different points in the early life of my Lerebus Shieldbreaker character. Lerebus has played only a minor role in my Ursia Chronicles so far, appearing briefly in Dark King of the North and in a slightly more important role in Under the Mountain. 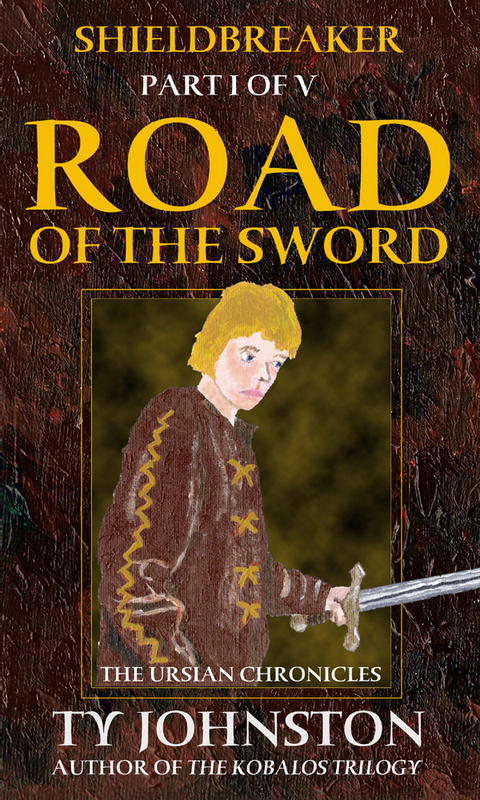 My first story of Lerebus was my short story Road of the Sword, which has been (very) slightly reworked and is now the first e-book in this new series. 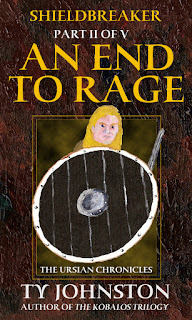 The second e-book in the series, An End to Rage, is also now available. The third e-book should be available within the next couple of weeks, and is titled Betrayal of the Self, with the fourth tale to be titled The Slave Pits of Mogus Potere. The fifth one's title I've not settled upon yet. And yes, eventually I'll gather all five of these tales into a collection. Why am I writing and releasing these? For several reasons. One, I'm continuing my experiment of the last few months concerning serial and serialized fiction, which this Lerebus series isn't exactly, but sort of is. This is just another step of that experiment. Two, one thing I've found I enjoy about serial fiction and similar fiction is that it allows me to tell stories that wouldn't necessarily be told otherwise because they aren't long enough to be novels within my broader Ursia Chronicles. Three, this little collection allows me to do some housecleaning, to get out of my head things (stories) I know about a character's past. More than likely I'll be doing more series of short stories in the future. I've stories (and more housecleaning) to do concerning Kron, Adara, and some other characters. These shorts and these series give me an opportunity to shed some light on these characters' pasts. My Belgad character has an origin tale I also really want to tell, but my thinking right now is that that story would fit better as a trilogy of novels or novellas, though I'll wait and see. And then there are all the stories I've yet to tell of the generation or so before that of my Kron Darkbow character, tales about the big war roughly sixty years before my City of Rogues novel begins. So far my Mage Hunter series has been my only step in that direction, but there will be more (for one thing, there's to be a Mage Hunter sequel series likely to be called Mage Slayer, the events taking place about 10 years after Mage Hunter but still a few years before the war). So, for now, I'm experimenting with what are new (at least to me) forms of writing. I'm enjoying it. Some of my readers seem to, also. Notes: For some while now I've had a story idea pertaining to baseball, but though I was a big fan of the sport back in the '90s (the Cleveland Indians were my team), my interest in sports has dwindled over the last decade or so, and I find myself woefully unread in baseball literature, especially fiction. Oh, I've read a few books here and there about baseball, but it's been a while. So, even though I'm not likely to start writing my baseball story any time soon (there are too many other projects at the moment), I'd still like to keep my hand in things a bit, or pick up some things. This collection I found interesting because it is a mixture of true stories and fiction, including writings by the likes of John Updike, Gay Telese, and Zane Grey. 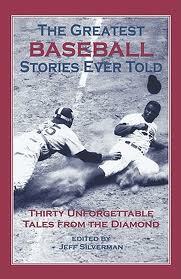 Mini review: This was simply a fine read, bringing back lots of memories and reminding me how much I loved baseball. It's difficult to pick just one, but I think my favorite piece of writing here was "The Silent Season of a Hero," by Gay Talese, a character piece about Joe Dimaggio in his retirement years; this piece didn't directly have much to do with baseball itself, but it was great writing and showed a great hero of baseball. Reading this book got me to thinking a lot about baseball, and comparing baseball and fantasy fiction, and lead to this post. Notes: I'm normally not much into the self-help and motivational books, but this one sounded interesting to me because it specifically talks about going beyond just reading such material and taking action. My main want for reading this was possibly to gather a little inspiration on how to make myself more prolific as a writer. Here goes to see if it helps. Mini review: Overly simplistic, but that can also be good as it gets to the point, which is part of the point, not screwing around but getting things done. I can't say I learned anything new here, but I did pick up some reminders, which was nice. 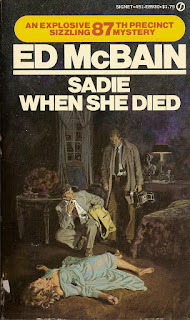 Notes: I've long been a fan of Ed McBaine's 87th Precinct novels, and the first half of last year I read a ton of them. Then when I was starting to feel somewhat burnt out on the series, I cut back. So, it's probably been six months or so since I've read such a novel (I could look up the exact dates on this blog, but I'm too lazy at the moment). I was starting to feel like saying 'hello' to some old friends, and that's what it feels like with me for these 87th Precinct novels, which is why I'm reading one now. In this one, apparently the murder is easy to solve, with finger prints and a confessed killer, but apparently there's more than meets the eyes, and that's what keeps the boys of the 87th Precinct guessing and busy. Mini review: As always, a good one. 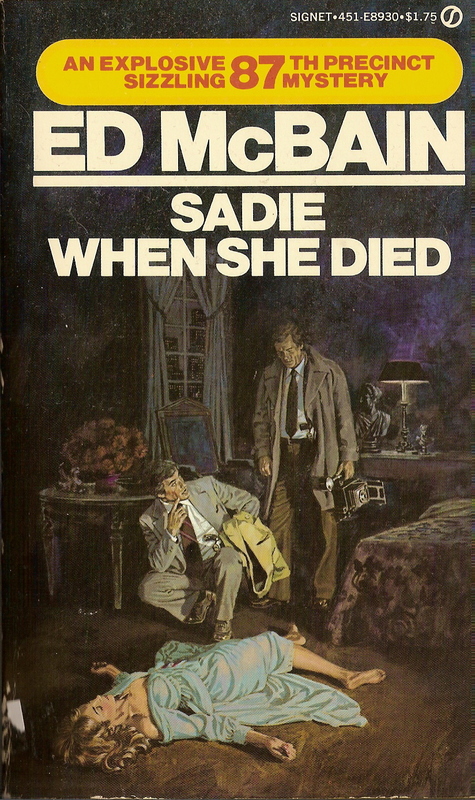 There were two main story lines, common enough for McBain, both tiddying up within the final pages, also common. Lots of swift, quick dialogue, which I love. I wouldn't say this was the best 87th Precinct novel I've read, but I've really not read one I didn't appreciate. Each one of these novels is quite a bit different than all the others, and this was the case here, which is something I like about this series of novels, that despite the large number of them, the same old plots and events don't turn up time and time again. Notes: The author and I have been in off-and-on correspondence over the last few years, e-mailing one another back and forth, yet I had never read any of his longer fiction. So, when I saw he had this new novella out, I thought I'd give it a try. Apparently it's the first in a series, and it's about a city guy who vacations in the country and runs into some trouble too big for him to sink his teeth into. Though it might sink it's teeth back into him. Heh heh. Mini review: Quite the nice action scene toward the end of this one, and a good, though tragic, opening tale to a longer series. This little story takes the reader for ride, too. At first it seems like horror, then it shifts to almost paranormal romance, then in the end ... well, I don't want to spoil anything. Let's just say you never know quite what to expect, which isn't a bad thing, in my opinion. With the 2012 holidays now behind us, there has been a lot of doom and gloom on the publishing front, especially concerning the e-book market and indie authors. This isn't necessarily all that strange, because the publishing industry (especially the indie portion of it) is always full of doom and gloom. But there's a difference this time. Well, the fact is, the early numbers so far seem to agree with the doom and gloom. For instance, Barnes & Noble has reported selling fewer Nooks this past season. And there have been reports of e-book sales slowing down. And I'll freely admit my own e-book sales aren't as strong as they were a year or two ago, though they're holding steady of late. So, should we all give up? Should we go back to our day jobs? Should we hang our heads and cover them with sack cloth? Because I have seen something similar to all this before. Or at least it seems so to me. Okay, wait, hold on. This is going to take some explaining, but stay with me here. For those of us old enough to remember, especially if one was a child or teen at the time, the late 1970s and early 1980s were a golden era for video games. That was the time when video game arcades were everywhere, Atari was the king of the world, and Pac-Man not only ate little dots, but millions of dollars worth of quarters. Then, unexpectedly, it all came down in a fiery, bloody crash in 1983, though the decline actually began in 1982. The great North American video game crash of 1983. If you're old enough, maybe you remember it. Arcades slowly started disappearing. The price of everything Atari dropped. Hell, the price of just about everything having to do with the home video game market dropped. There were even video game cartridges in the five dollar bin at Kmart (before that, most video games had cost between $20 and about $50, depending upon the company, the game's popularity, the quality of the game, etc.). By the holiday season of 1983, people just weren't buying home video games any longer, at least not in strong numbers. Also, people weren't lining up at the arcades like they used to, though the arcades did hold on for another decade or so in bowling alleys, near college campuses, and a handful of other places (by the way, for those youngins out there who think their local video game collection at the movie theater is a real arcade ... well, you're wrong ... you had to be there, but real arcades were dark, often smokey places that were like temples to all things bright, flashy and digital). Some of us didn't really notice the crash at the time, or at least didn't think it was all that big a deal. And maybe it wasn't, in the larger scheme of things, but it did change the future of home gaming as we knew it, and the heyday of Atari and Intellivision and Colecovision was kaput. It was the end of an era. There has been all kinds of speculation over the years, and frankly, I can see how some of this speculation seems related to what has recently been going on in the e-book market. Below I'll discuss some of the major reasons for the 1983 crash, and how I think it's relevant to today's e-books and indie writers. Keep in mind, this is mostly speculation on my part as a writer and fan of classic video games. 1.) Too many video game consoles, and video games: There might be some truth to this, that there was just too much of everything out there, too much available, with only so many consumers biting at the video game market of the time. Atari was king, but it had a handful of strong competitors, and then there were a dozen or more other companies putting out less reputable gaming consoles. And the games! There were millions of them! Or it seemed so. And only a handful of them were good (though they were really good). Oh, maybe the Atari 2600 system had about 50 games that were excellent, the Intellivision a dozen or so, and the Colecovision another dozen, but there were hundreds upon hundreds of games available, of various quality and at all kinds of prices. There was so much, the market eventually imploded. Despite the seeming endless number of video game consumers, the truth is the market was somewhat limited, especially when more and more bad games came out, thus turning away some potential market. Could this be happening to the e-book market? For some while now, a number of authors have bemoaned the multitude of free and cheap e-books. Perhaps they are right. Perhaps the large numbers of such e-books are finally hitting home, especially when many of them might be badly written or tossed together quickly in hopes of making an easy book. Consumers can be a fickle lot, and if e-books gain a reputation of being poor literature and bad information, then those consumers will catch on. What to do? Write better books. Or perhaps eventually a new form of gate keeper will emerge (I'm not saying I want this to happen, but anything is possible, especially if the market demands it). 2.) 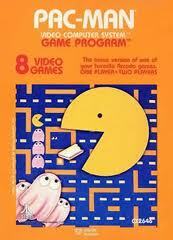 Big games that failed: Everyone with an Atari home gaming system in 1982 will remember the awfulness that was the Atari version of Pac-Man, and the Atari game for E.T. : The Extra-Terrestrial. The E.T. game is simply one of the worst video games ever made, and it had received tons of fanfare before being released to the market and promptly sinking into a pit somewhere in New Mexico (true story, by the way ... Atari buried millions-of-dollars-worth of cartridges and consoles simply to get rid of them, and maybe for a tax write-off or something). The Pac-Man game irked a lot of people at the time because it was nothing like the original arcade game, but personally, it didn't bother me so much. Anyway, that's just two examples. There were other games, though not quite so high profiled, which received lots of marketing but turned out to be flops. Can anyone see how this could relate to e-books and the indie market? Seems fairly obvious to me. There have been a number of indie authors who have made it big. When will one of them flop? Or has one of them already flopped? Considering some of the arguments floating about a few months ago concerning authors buying reviews and making up their own reviews (as well as creating negative reviews for those perceived as competitors), it might be this bird has flown, or is still flying. A few reputations were hit pretty hard, though much of the brou ha ha seems to have died down of late. 3.) The rise of the computer: Yep, the home computer was slowly gaining traction in the early 1980s, though I don't think it truly hit its stride until the mid-1990s or thereabouts. 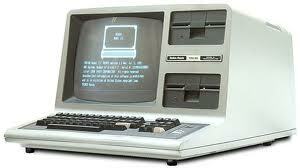 Still, the popularity of home computers was beginning to have an impact on console sales. Why buy just a console when you could purchase a computer that played games and so much more? Again, I see direction relations here. The market for dedicated e-reading devices has dropped the last few months, yet sales for tablets continue to rise. Sound familiar? Actually, I don't consider this much of a problem as long as readers are reading on something. Okay, that's enough about the causes of the video game crash and how I see it relates to today's e-book market. The causes of the crash mentioned above are admittedly arguable, and there are others I have not mentioned, but this post is already too long. And I've got more to say. So far I've been mostly doom and gloom. Video games crashed. E-books seem to be crashing (at least to some extent). Meteors are going to hit the earth. Sunspots will blow us up. Zombies and aliens will rise to eat all of us. Yaddy yaddy. But there are positive aspects to consider. Though the video game crash came in 1983, just a couple of years later in 1985 there came along a new home gaming console known as the Nintendo Entertainment System, affectionately referred to as the NES. By that time I wasn't much into video games any more, but I still can't forget the impact the NES had on video games and its market. It was almost like a second golden age, at least for a while. Eventually the NES was replaced by the Super NES. And then through the years more and more home consoles took over the market for one period of time or another. Sony was king for a while with the various Playstations. Nintendo struck it big again with the Wii. The various Xbox incarnations have made big money. Obviously there are plenty of differences between the home video game market of 1982-83 and today's e-book market, but I felt there were enough similarities to call attention to it. It means the end is not near. It's not even in site. It means things will change. Not always for the better, but sometimes, yeah. It means video games survived the crash of 1983, and it means e-books and indie writers (at least some of them ... us) will survive whatever is going on now within the publishing world, and what's to come in the publishing world. Do I really think the end is drawing near for e-books and indie authors? No, not at all. In fact, I think the best is yet to come. Quality and talent will shine through, and yeah, a few hucksters will squeeze by. But over all, we have a bright future ahead of us. None of us may have a clue what it will look like, but it'll be coming whether we want it to or not, and each of us will have a place in it if we have the patience and the fortitude to push forward. We just have to wait and watch and work. In the words of the immortal Commander Peter Quincy Taggart, "Never give up, never surrender!" Though I've been busy with the holidays, writing, and other projects, over the last month or so I have managed to get some painting done. I'm gradually going through and adding some new covers to some of my longer works, as well as having the occasional fun with more abstract works. 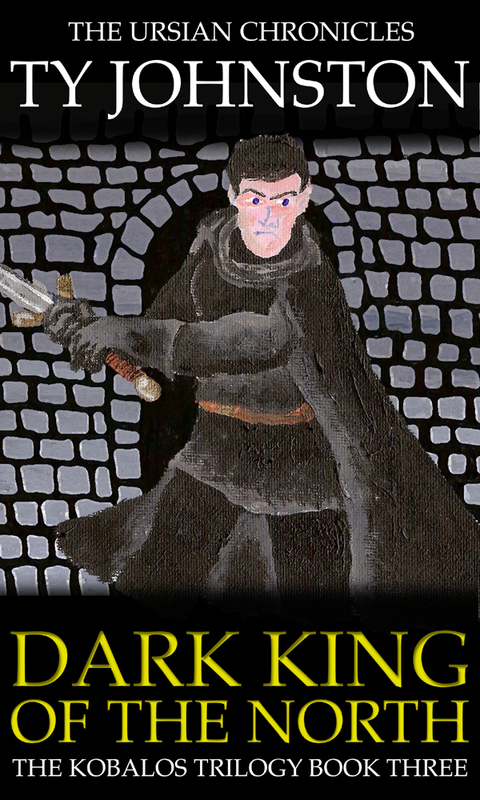 At the left is my new cover for my novel Dark King of the North. It's not the greatest cover, probably not even my final one, but it is better than the cover I've had for the last few years. If you click on the small images, a larger image will appear, allowing you to glory in all my imperfections. 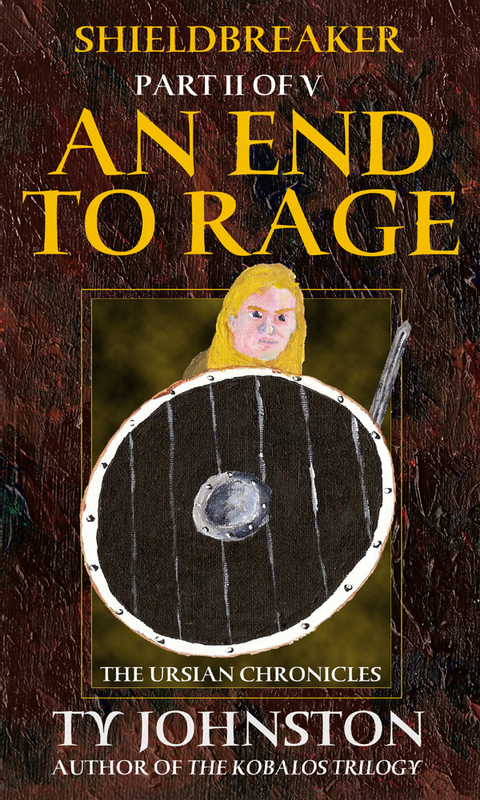 Also, there at the left is a cover for an upcoming shorter work, Shieldbreaker: An End to Rage, which focuses upon my Lerebus Shieldbreaker character, who before now has played mostly minor roles in a couple of my novels. I'm doing a series of five short stories about Lerebus, tying up some loose ends (at least in my own head), before Lerebus eventually plays a larger role in some of my future novels, eventually probably to have a trilogy of his own (there's a desert, a city under siege, lots of undead things walking around ... oh, but it's probably years from now before I get around to writing it ... tease, tease). 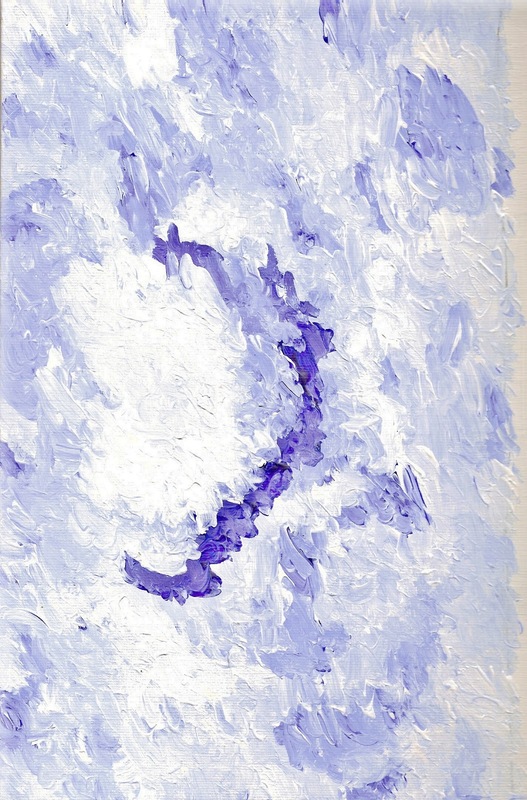 Below are a couple of my abstract works, the top one titled "Ice I" and the second "Ice II." Here, as I often do, I was playing around with some colors and a few different brushes, my focus more on the texture of the paints than actually creating visual images with them. Though quite plain, I think these two pieces work. 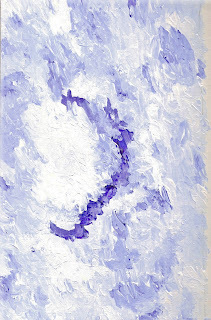 If you you look closely to the right side of "Ice II," you will see a little strip of the actual canvas; this is because I wanted it there, because for some reason I like the look of it, the look of paint at the edges of canvas. One thing I've had brought home to me of late is that when it comes to brushes and paints, quality does matter. It had been a long time until recently that I had bought any new acrylic paints, and I found the prices have skyrocketed. So, trying to save a few bucks, I opted for some cheaper paints. I paid the price, and find such paints difficult to work with. As for brushes, it had also been a long time since I had bought new brushes, and my favorites are worn out to the point of being mostly unusable. I didn't want to go cheap on my brushes, but I found the sizes and shapes of certain brushes were no longer being made by the companies of my choice, so I opted for similar brushes made by companies with less than stellar reputations for quality. Again, I paid the price. For now, I'm making use of these cheaper paints, but eventually they will be gone, and as for the brushes, I'll keep my eyes open for other possibilities. I've even contacted a few companies which make brushes, hoping they'll bring back some of my favorites or perhaps have some old ones in stock in a warehouse somewhere, but so far I've not heard back. 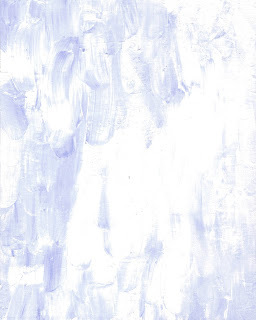 As for my painting skills, I think they've taken a hit of late, for a variety of reasons. The crappy paints and brushes didn't help, and then I've not had a lot of time to paint of late, rushing through want painting I've done. My skills are not all that great, but I hope to keep improving, and at least I'm enjoying it. Notes: A couple of years ago, I read what is most likely this author's best known novel, Wicked. 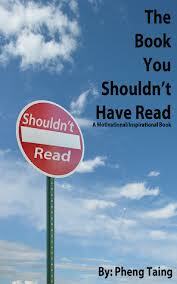 It was a fair book, but I don't remember being overly enthralled with it. Still, unless I'm really turned off for some reason, I like to give most author's at least a second chance. 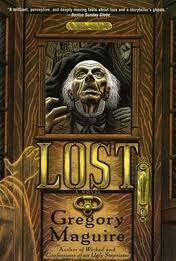 This time I thought I'd delve into his novel Lost, which is sort of appropriate since we're coming off the holiday season and this book has links to Charles Dickens's Ebenezer Scrooge character. Mini review: I hate to say it, but I didn't care much for this one. If anything, I liked it less than Wicked. Much like the title says, I felt lost most of the time. Events seemed random, often nonsensical. People just didn't act like ... well, people. The conversations made little sense. It was like trying to be in the mind of someone who was really out of touch with reality, and perhaps that was part of the point, but I simply couldn't follow most of the story. And then there were the sort of flashback scenes. I can't stand those, and have less and less tolerance for them the older I get. Also, there was some quite important information about that protagonist that's not revealed until the last 50 or so pages, making me feel cheated as a reader. Things picked up a little near the end, but that ending, it just sort of happens ... off screen ... and you never get to see it, and you really don't get to see much of the outcome for the characters ... people just sort of got on with their lives. Honestly, most of it seemed quite pointless to me, and the few interesting moments were swallowed up by all the banality. The writing itself wasn't awful, it's just that little of it made sense. Maybe I'm dense. Maybe I'm getting senile. But damn it, I'm a pretty well read person, and this was like nonsensical poetry to me. As much as I'm moaning, I didn't completely hate the book, though I do think it missed the mark and it missed its potential.